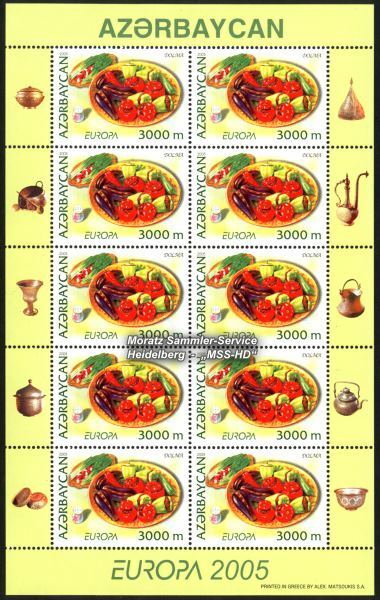 Azerbaijan: Europe CEPT Companionship 2005 "Gastronomy"
18th April 2005: complete sheetlets with 10 postage stamps each, MNH. Mint Not Hinged = **. Total number of copies: 5,000 sheetlets. Authenticity warranty. 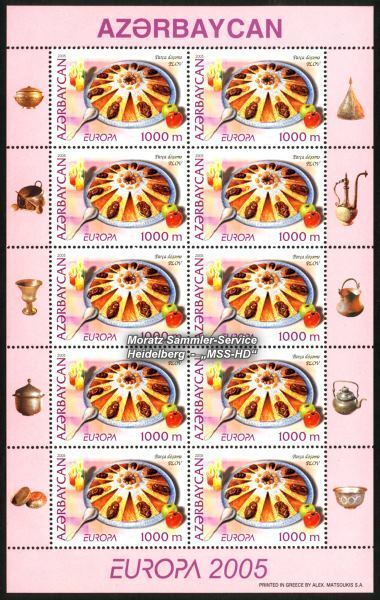 Sheetlets MNH **.